The notion that intelligence could determine one’s station in life… runs like a red thread through Western thought, from the philosophy of Plato to the policies of UK prime minister Theresa May. 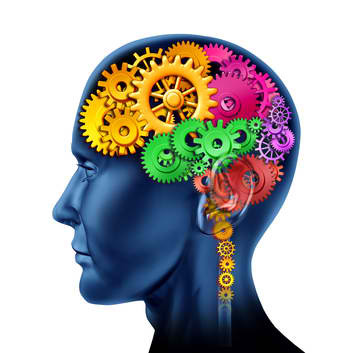 To say that someone is or is not intelligent has never been merely a comment on their mental faculties. It is always also a judgment on what they are permitted to do. Intelligence, in other words, is political. Sometimes, this sort of ranking is sensible: we want doctors, engineers and rulers who are not stupid. But it has a dark side. As well as determining what a person can do, their intelligence – or putative lack of it – has been used to decide what others can do to them. Throughout Western history, those deemed less intelligent have, as a consequence of that judgment, been colonised, enslaved, sterilised and murdered (and indeed eaten, if we include non-human animals in our reckoning). 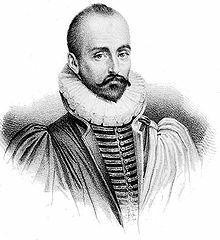 As we celebrate variety, we might send thoughtful birthday greetings to Michel Eyquem de Montaigne; he was born on this date in 1533. Best known during his lifetime as a statesman, Montaigne is remembered for popularizing the essay as a literary form. His effortless merger of serious intellectual exercises with casual anecdotes and autobiography– and his massive volume Essais (translated literally as “Attempts” or “Trials”)– contain what are, to this day, some of the most widely-influential essays ever written. Montaigne had a powerful impact on writers ever after, from Descartes, Pascal, and Rousseau, through Hazlitt, Emerson, and Nietzsche, to Zweig, Hoffer, and Asimov. Indeed, he’s believed to have been an influence on the later works of Shakespeare.